While the game may have been played in Frisco, Texas, the Houston Dash are still looking for the first win against Seattle Reign FC. Merritt Mathias scored in the 50th minute, and the Reign clung to the lead for another 40 minutes plus stoppage time for the 1-0 win. The loss now gives Seattle a 10-0-0 record all time against the Dash. Forward Beverly Yanez found the seam through multiple orange jerseys to find Mathias, who fired off a rocket with her right foot. It was Mathias’ second goal of the season. Matthias earned a penalty kick early in the first half, but Houston goalkeeper Jane Campbell came up with a big stop on Reign midfielder Jess Fishlock‘s PK attempt, as well as a second save on the second chance. Lydia Williams got the start in goal for Seattle Reign FC against her former team, and earned the shutout against the Dash. Forward Megan Rapinoe also made her return from surgery to repair a torn meniscus in her left knee back in August. 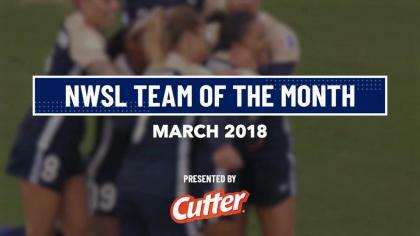 The win was the 50th all-time win for the Reign and head coach Laura Harvey, and thanks to Sky Blue FC’s loss earlier on Sunday evening to FC Kansas City, boosted them into fifth place on the NWSL table. Seattle is now five points behind Orlando Pride and the final playoff spot, with only three games remaining. Fortunately for Seattle, their next game is against the very team they need to beat: the Orlando Pride. Match ends, Houston Dash 0, Seattle Reign 1. Second Half ends, Houston Dash 0, Seattle Reign 1. Attempt saved. Megan Rapinoe (Seattle Reign) right footed shot from the centre of the box is saved in the centre of the goal. Assisted by Katie Johnson. Katie Johnson (Seattle Reign) wins a free kick on the left wing. Offside, Seattle Reign. Katie Johnson tries a through ball, but Megan Rapinoe is caught offside. Corner, Seattle Reign. Conceded by Claire Falknor. Katie Johnson (Seattle Reign) wins a free kick in the defensive half. Foul by Maddie Bauer (Seattle Reign). Attempt missed. Nahomi Kawasumi (Seattle Reign) left footed shot from the right side of the six yard box is too high. Assisted by Katie Johnson. Attempt blocked. Megan Rapinoe (Seattle Reign) right footed shot from the right side of the box is blocked. Assisted by Katie Johnson. Corner, Houston Dash. Conceded by Rachel Corsie. Attempt blocked. Nichelle Prince (Houston Dash) right footed shot from the centre of the box is blocked. Assisted by Camille Levin. Attempt saved. Camille Levin (Houston Dash) left footed shot from the left side of the box is saved in the centre of the goal. Assisted by Caity Heap. Katie Johnson (Seattle Reign) wins a free kick in the attacking half. Offside, Seattle Reign. 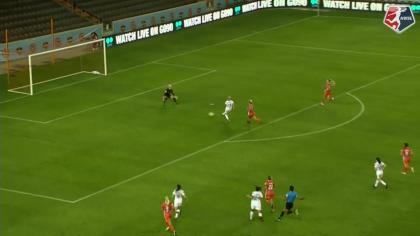 Jessica Fishlock tries a through ball, but Megan Rapinoe is caught offside. Substitution, Houston Dash. Caity Heap replaces Sarah Hagen. Substitution, Seattle Reign. Megan Rapinoe replaces Merritt Mathias. Lauren Barnes (Seattle Reign) is shown the yellow card. Attempt missed. Poliana (Houston Dash) right footed shot from a difficult angle on the right misses to the left. Assisted by Nichelle Prince. Claire Falknor (Houston Dash) wins a free kick in the defensive half. Substitution, Seattle Reign. Maddie Bauer replaces Rumi Utsugi because of an injury. Substitution, Houston Dash. Claire Falknor replaces Janine Beckie. Delay in match Rumi Utsugi (Seattle Reign) because of an injury. Attempt saved. Beverly Yanez (Seattle Reign) right footed shot from the left side of the box is saved in the centre of the goal. Assisted by Nahomi Kawasumi. Attempt blocked. Rumi Utsugi (Seattle Reign) right footed shot from outside the box is blocked. Assisted by Jessica Fishlock. Attempt blocked. Nahomi Kawasumi (Seattle Reign) left footed shot from the centre of the box is blocked. Assisted by Jessica Fishlock. Beverly Yanez (Seattle Reign) hits the bar with a left footed shot from outside the box following a corner. Corner, Seattle Reign. Conceded by Bruna Benites. Attempt blocked. Merritt Mathias (Seattle Reign) right footed shot from outside the box is blocked. Assisted by Nahomi Kawasumi. Christine Nairn (Seattle Reign) wins a free kick on the right wing. Attempt saved. Janine Beckie (Houston Dash) right footed shot from the centre of the box is saved in the centre of the goal. Assisted by Nichelle Prince with a cross. Attempt missed. Beverly Yanez (Seattle Reign) right footed shot from outside the box is close, but misses to the left. Assisted by Carson Pickett. Attempt blocked. Rebekah Stott (Seattle Reign) left footed shot from outside the box is blocked. Assisted by Merritt Mathias. Goal! Houston Dash 0, Seattle Reign 1. Merritt Mathias (Seattle Reign) right footed shot from the left side of the box to the top right corner. Assisted by Beverly Yanez. Foul by Nahomi Kawasumi (Seattle Reign). Attempt saved. Merritt Mathias (Seattle Reign) right footed shot from the centre of the box is saved in the bottom left corner. Assisted by Carson Pickett with a through ball. Attempt missed. Janine Beckie (Houston Dash) right footed shot from the right side of the box is close, but misses to the right. Assisted by Kristie Mewis with a through ball. Second Half begins Houston Dash 0, Seattle Reign 0. First Half ends, Houston Dash 0, Seattle Reign 0. Attempt missed. Sarah Hagen (Houston Dash) left footed shot from very close range is close, but misses to the left. Assisted by Andressinha with a cross. Attempt missed. Kristie Mewis (Houston Dash) header from the centre of the box misses to the left. Assisted by Amber Brooks following a set piece situation. Attempt missed. Nahomi Kawasumi (Seattle Reign) left footed shot from the centre of the box is high and wide to the left. Assisted by Jessica Fishlock. Attempt blocked. Jessica Fishlock (Seattle Reign) right footed shot from the centre of the box is blocked. Attempt missed. Nahomi Kawasumi (Seattle Reign) right footed shot from the centre of the box misses to the left. Assisted by Rebekah Stott. Rebekah Stott (Seattle Reign) wins a free kick in the attacking half. Offside, Houston Dash. Jane Campbell tries a through ball, but Sarah Hagen is caught offside. Attempt blocked. Rebekah Stott (Seattle Reign) right footed shot from the centre of the box is blocked. Assisted by Merritt Mathias. Attempt saved. Jessica Fishlock (Seattle Reign) right footed shot from the right side of the box is saved in the bottom right corner. Assisted by Nahomi Kawasumi with a headed pass. Attempt missed. Kristie Mewis (Houston Dash) header from the centre of the box is just a bit too high. Assisted by Camille Levin with a cross. Attempt saved. Janine Beckie (Houston Dash) right footed shot from the left side of the box is saved in the centre of the goal. Assisted by Kristie Mewis. Attempt missed. Merritt Mathias (Seattle Reign) left footed shot from a difficult angle on the left is close, but misses the top left corner. Assisted by Beverly Yanez. Attempt missed. Sarah Hagen (Houston Dash) header from the centre of the box misses to the right. Assisted by Andressinha with a cross following a corner. Attempt saved. Jessica Fishlock (Seattle Reign) left footed shot from the centre of the box is saved in the centre of the goal. Penalty saved! Jessica Fishlock (Seattle Reign) fails to capitalise on this great opportunity, right footed shot saved in the bottom left corner. Penalty Seattle Reign. Merritt Mathias draws a foul in the penalty area. Penalty conceded by Bruna Benites (Houston Dash) after a foul in the penalty area. Attempt missed. Kristie Mewis (Houston Dash) left footed shot from outside the box misses to the right. Attempt saved. Rebekah Stott (Seattle Reign) left footed shot from the centre of the box is saved in the centre of the goal. Assisted by Merritt Mathias.